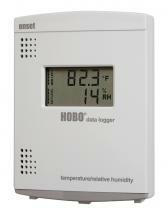 HOBO U14 data loggers display, record, and provide alarm notifications of temperature and humidity conditions. 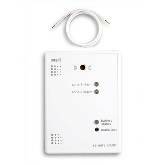 Receive out-of-range alarms notifications with the optional Auto Dialer or Remote Audible Alarm. These loggers are well-suited for use in manufacturing, processing, and storage environments where reliable monitoring and documentation of temperature and relative humidity conditions is critical. Displays flashing ALERT for out-of-limits conditions (selectable within host software) and stops flashing on offload or return to normal range. Selectable delays for each set point. Alert conditions reset on offload or return to normal range. Time accuracy: ±1 minute per month at 20°C (68°F). 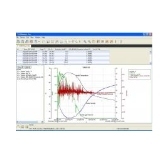 For External Sensor Specifications, see the sensor's user manual. The batteries will last one year in typical conditions (logging intervals of ≥ 1 minute with weekly offloads and average temperatures greater than 10°C or 50°F). Frequent offloads and/or extreme temperatures will reduce battery life. At temperatures below freezing (0°C or 32°F), batteries will typically require replacement every six months. In these conditions the battery level bar graph should be checked regularly.